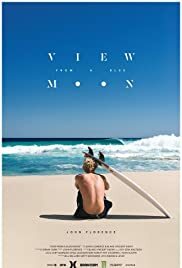 The first surf film shot in 4K, View From A Blue Moon follows the world's most dynamic surfer John Florence and his closest friends from his home on the North Shore of Oahu to his favorite surfing destinations around the globe. From the dreamy blue perfection of the South Pacific to the darkest uncharted waters of Africa (and everywhere in between), Florence faces a broad spectrum of emotions as he continues to seal his legacy as one of the most gifted surfers ever. And while the young Hawaiian is pulled in increasingly different directions, there is no form of pressure that will keep him from his ultimate goal - to redefine what is possible in the ocean. One of the most beautiful, immersive films of this decade. Completely left in awe as to all the difficulty in attaining the footage that they got. And even more in awe as to how they could've made such a great film out of it. The film isn't just a "surf film" though, it functions at a much higher level than that. There's such a poetry to its images, and it really captures footage from such different locations and assembles it into a cohesive story without much of a narrative or, well, "story" by the usual definition. Heart, passion, and genuine creativity burst from this film from the get-go. Its editing, in both its film scenes and sound, is brilliaaaaant. And the music it uses just fits so perfectly. Every single second of this film was carefully structured. Quite frankly, it's just fantastic and easily one of my favorites of the year. It's such a wholly immersive experience, of the kind that no visual effects in Hollywood could achieve. And did I mention that it may very well have the best opening title sequence of all time? Definitely the most beautiful.